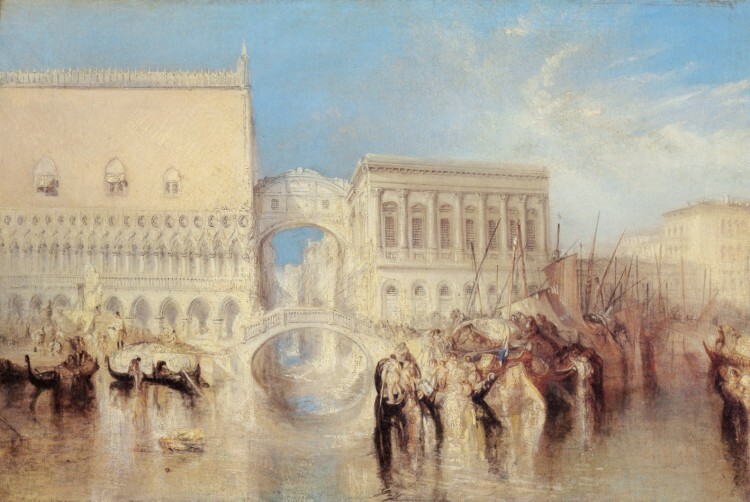 This painting was created based on sketches drawn during his stay in Venice in 1833, while inspired by a poem of George Gordon Byron. “The Bridge of Sighs” refers to the arch-like bridge that connects the Doge’s Palace on the left and the New Prisons on the right. Once a criminal was given sentence in an interrogation chamber, he/she walked across the bridge and incarcerated into the prison.